Stop that annoying noise and lose 6 lbs fast! Live Action in the Heart o’ Dixie! 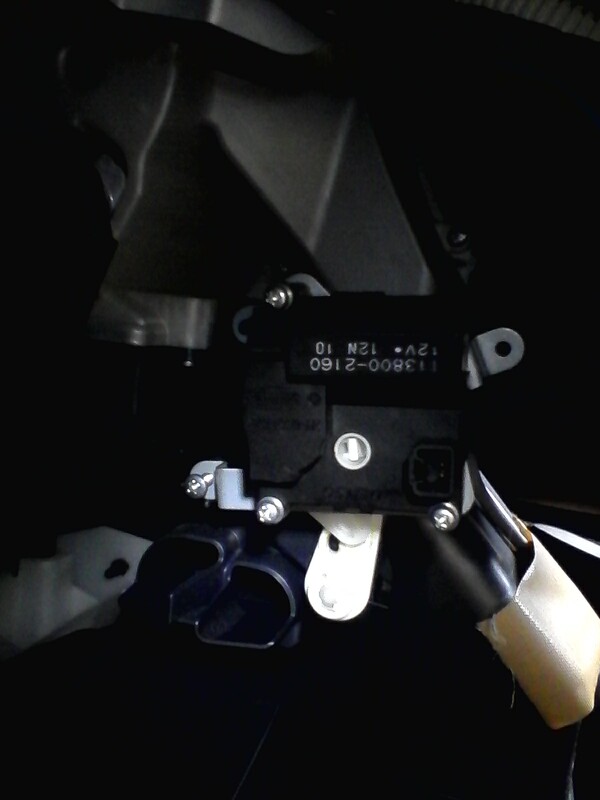 The servo is easy to see from the drivers floor, nothing to uncover. Either a manual move of the flapper after removing the servo, or put 12v on the pin 1 and gnd pin 3 and let the servo move the flap. Then leave the connector loose and do not use it. caution Stop energizing when the lever is set to the operation stopping position. 1 2 Stops rotating at foot area air outlet position. 1 3 Stops rotating at main battery cooling position.